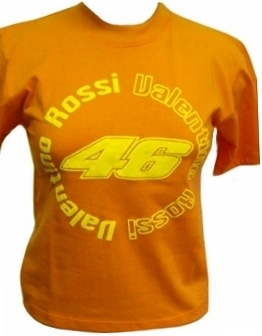 Valentino Rossi Kids T-Shirt, Orange. 100% cotton with large valentino Rossi 46 print on the front and "The Doctor" print on the back. Available in KIDS size S & L.